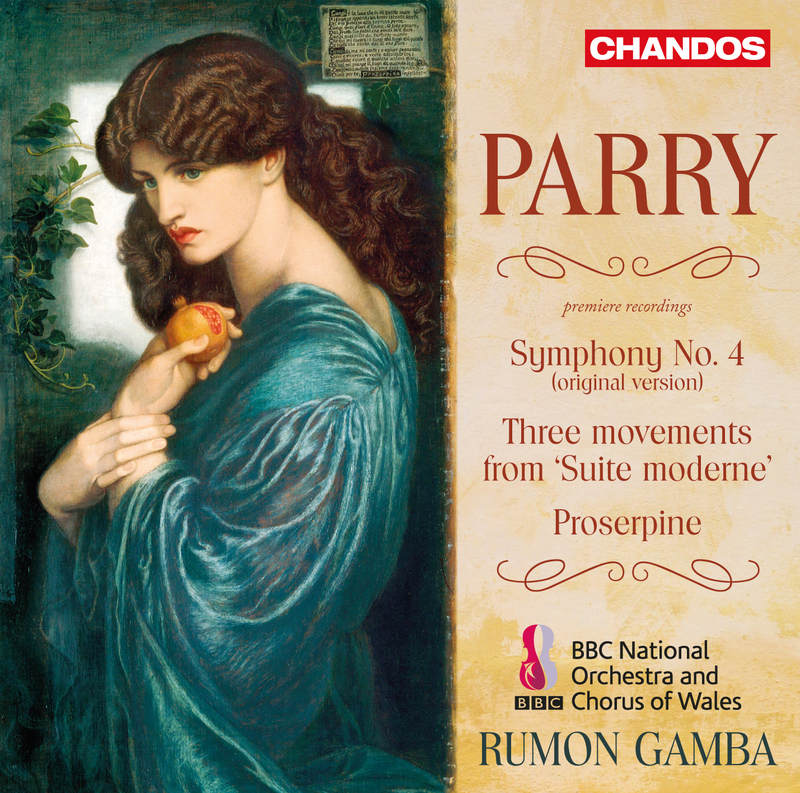 From Chandos, Sir Hubert Parry's Symphony no 4 in E minor ,with Prosperine and movements from Suite Moderne. This performance, with Rumon Gamba conducting the BBC National Orchestra of Wales, is outstandingly vivid, eclipsing Matthias Bamert's 1989 performance, also for Chandos, which remains the only other readily available recording of this symphony. But what also makes it special is that it is Parry's original version, based on the score conducted by Hans Richter, Parry's great friend, on 1st July 1889. This performance is so convincing that it makes a case for the original, which critics found too difficult to follow after the relatively sunny Third Symphony. In 1909, Parry revised the piece extensively, retaining ideas from the first, second and last movements, composing much new material and replacing the original Scherzo in A minor with a completely new movement in in G major. We can only hope that Chandos will commission a recording of the 1909 version from Gamba in the future, to enhance the comparison. Gamba isn't a conductor who courts celebrity, but he's an excellent musician who gets results that deserve celebrity status. 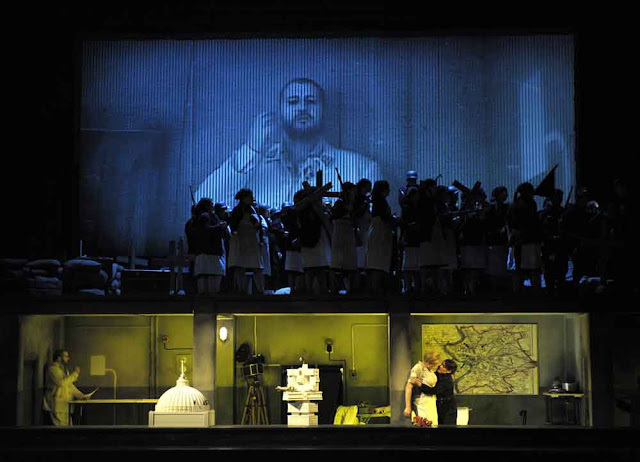 From the first bars, Gamba's attack is forceful, emphasizing the strength of the Doric theme. The passage leads to nine other sections, which move swiftly ranging from animato to sweeping largamente, Gamba revealing the tight structure behind the restlessness and constant change in the long development. The brief intermezzo serves as a transition to the third movement marked Lento expressivo with a short interlude between the first and second sections. Jeremy Dibble, who edited this version, describes its "lyrical pathos" thus : "The diatonic richness of the slow movement's first idea is classic Parry in its treatment of dissonance and sonorous string texture, and the falling sequences and double suspensions of its closing bars seem palpably prophetic of Elgar." (who, incidentally was in the audience for the premiere). "And while the light hearted second subject attempts to assert itself, it is the noble generosity and poetry of the first idea that prevails.". Parry may have amended the Scherzo but its freshness and dance themes led him to re-arrange it for piano duet. The Finale is dramatic, working out the tension between dance and march, including "an unexpected and arresting shift to D major at the centre". The strong theme of the first movement returns in the Finale but the movement concludes with confident assurance. Parry would attach titles to the later revision to symbolize stages in search of self discovery. His summary was to be "Finding the Way". Hearing Parry's Symphony no 4 (1889) with three movements from his Suite Moderne (1886) highlights the composer's progressive ideas. Initially concieved in symphonic form, Parry uses an Idyll, a moderato in C major in place of a more conventional Scherzo. Yet Scherzo it is, a lively jest, hunting horns and dance figures alluding to Arcadia, followed by an even gentler Romanza as slow movement. There's something stylishly "modern" (ie late Victorian) in its expansive self-assurance. Significantly, Parry was supportive of Elgar from a very early stage. These two movements were placed between a Ballade (not included here) and a Rhapsody with three sections in seven and a half minutes, reminiscent of the long development in the first movement of Symphony no 4. This complements Parry's only ballet Proserpine (1912) for orchestra and chorus, based loosely on a poem by Percy Bysshe Shelley where maidens gather flowers in a sunlit meadow, unaware that Proserpine will soon be kidnapped and forced into marriage by Pluto, doomed to spend half the year in darkness underground. So much for Arcadian innocence !